You know, lots of us (by which I mean both political scientists and anyone who has expertise and gets on reporters’ dial lists) have had the experience of being interviewed as “experts”, only to find that what a reporter really wanted was to find someone to say something the interviewer believed, but needed someone “objective” to say. That’s a well-known phenomenon. What happens, however, when those experts choose to report on that interaction — and have an easy way to do so that the rest of their “expert” class will see? Or perhaps not that version, but the one where the reporter calling you doesn’t seem to know the basics, or the one where, as in the example above, the reporter ignores everything you said and writes the same story she intended to write. And not only that (after all, email lists uniting expert communities go back more than 20 years), but the combination of twitter plus blogs is something that the expert community use that the reporters interested in those experts can see, too. In other words, there’s now a risk that if you consult experts, you’ll wind up getting a blast of negative publicity both in that expert community and among your peers in the press. The vast majority of interactions with reporters are pretty boring and not worth writing about. 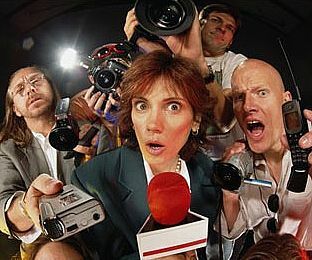 Writing about a reporter interviewing you might sound a little conceited (“Look Ma, I’m being interviewed!”). Or it might make you sound like a rube. Sophisticates take this stuff in stride. Or it might make you sound like a bellyacher. Maybe most reporters do a good job and there’s not really much cause for complaints in the first place. Sources don’t want to risk not getting calls in the future, and dishing on reporters might get you blacklisted. What else? Is this kind of thing likely to increase? If it does, will it make much difference? Or will it just become the new normal and nobody will really care?